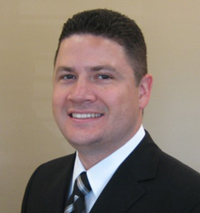 Dr. Brice A. Roselli was born and raised in Pensacola, Florida. He received his bachelors degree in Biology from Florida State University. He then attended Nova Southeastern University College of Optometry in Ft. Lauderdale, Florida, where he received his Doctorate of Optometry with honors. Dr. Roselli interned at University of Miami’s prestigious Bascom Palmer Eye Institute during his fourth year of optometry school, recieving honors for his rotation. Following graduation, he then elected to further his training by completing a one year optional residency in advanced ocular disease management and geriatrics at the Baltimore VA Medical Center in Maryland. This program is considered one of the top optometric residencies in the country. A large portion of his residency was spent rotating through The Johns Hopkins Wilmer Eye Institute, consistently rated one of the top eye hospitals in the United States. In addition to his patient responsibilities, Dr. Roselli assisted in the clinical and didactic education of optometry and medical students at the VA hospital. Dr. Roselli received advanced training in the diagnosis and treatment of glaucoma, diseases of the retina including macular degeneration and diabetic retinopathy, and diseases and disorders of the cornea. He has a special interest in managing glaucoma and dry eye, as well as specialty contact lens fitting. 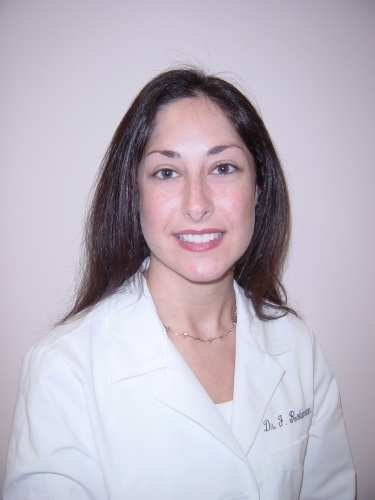 Dr. Roselli is past president of the Treasure Coast Optometric Society. He is a member of the American Optometric Association, the Florida Optometric Association, and the Beta Sigma Kappa Optometric Honor Society. He has also served as a board examiner for both the national and Florida optometric boards. Dr. Roselli lives in Vero Beach with his wife Dr. Jennie Robinson and his 2 children. When he's not at the office, he enjoys fishing, kayaking, golfing, acoustic guitar, and photography. Dr. Robinson grew up in Syracuse, New York. She recieved her bachelors degree in biology from The State University of New York at Binghamton. She recieved her optometry degree from Pennsylvania College of Optometry in Philadelphia. She interned at the Baltimore VA Medical Center in Baltimore, Maryland. Dr. Robinson practiced at Vero Eye Center with Dr. Edward Branigan for 11 years before joining us at Treasure Coast Eye Associates in 2015. Dr. Robinson's practice includes primary eye care, contact lenses, pediatrics, and diagnosis and management of eye disease. 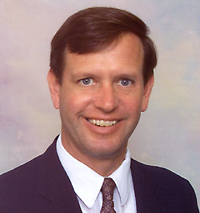 Dr. Daniel Fleming is a board certified optometric physician who has been practicing in Vero Beach since 1985. Dr. Fleming practices general optometric primary care, and also specializes in vision therapy. Born and raised in Pittsburgh Pa, he attended St. Lawrence University and received his Doctorate of Optometry degree from Pennsylvania College of Optometry in 1984. He completed his externship at the Bay Pines Medical Center in St. Petersburg Fl., and completed his fellowship in the College of Vision Development in 1991. Dr. Fleming has been a member of the College of Vision Development since 1985, a member of the Optometric Extension Program since 1989, and a member of the Neuro Optometric Rehabilitation Association since 1993. A past president of the Treasure Coast Optometric Society, he has participated on the Head Start health advisory council and the vision screening advisory board of Indian River County School District. A lifelong sailor, Dr. Fleming also enjoys cycling and playing music.